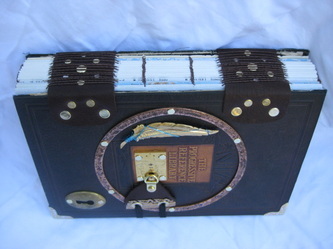 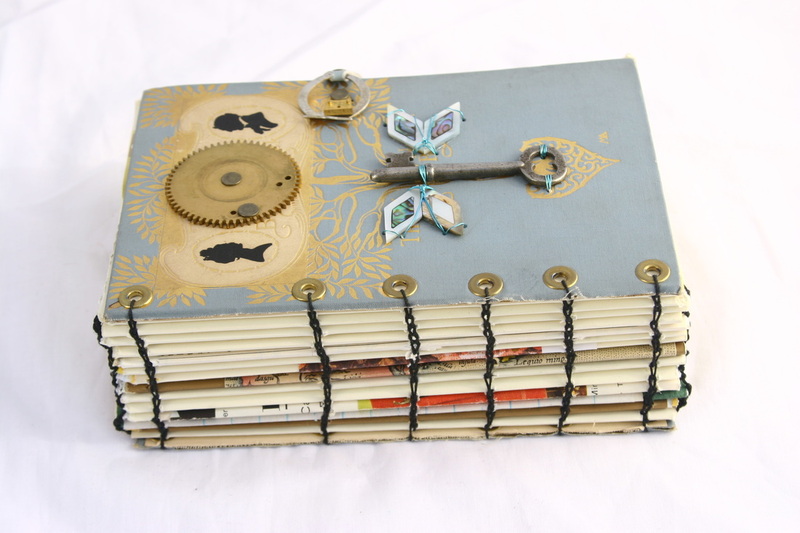 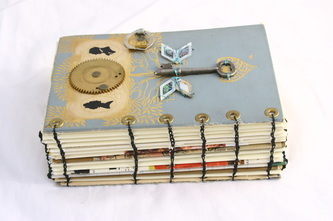 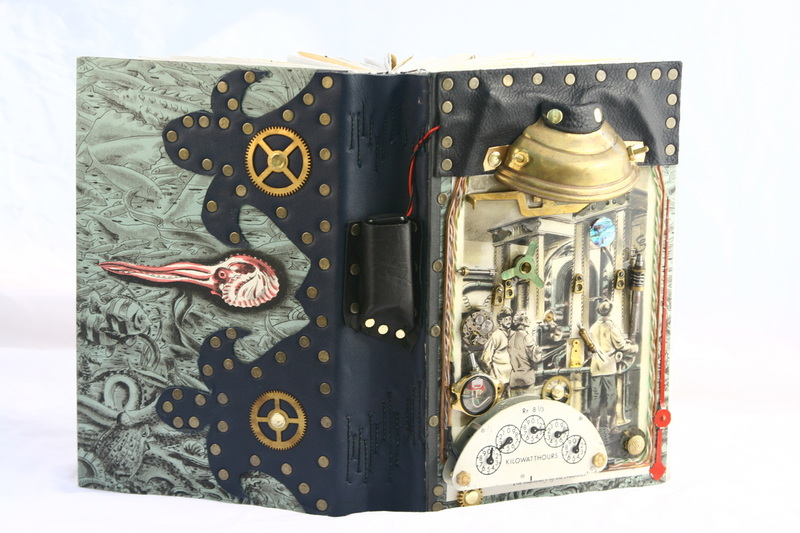 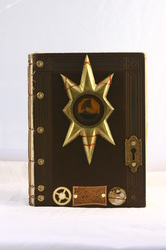 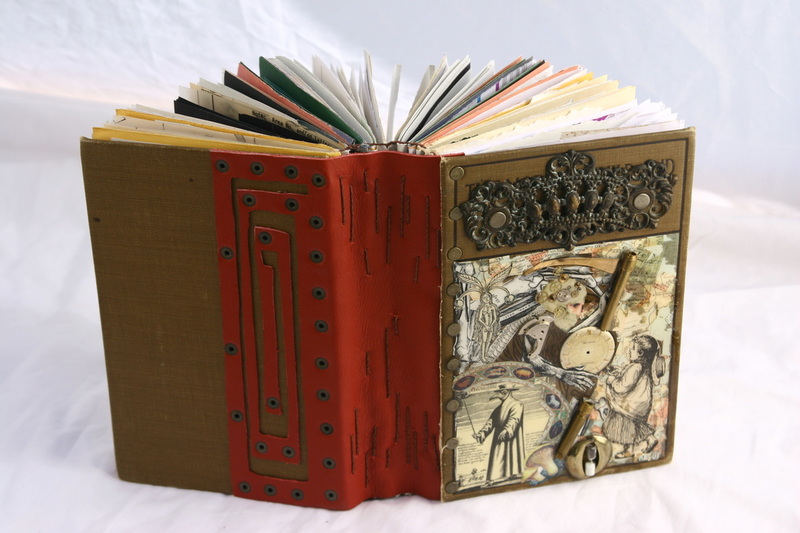 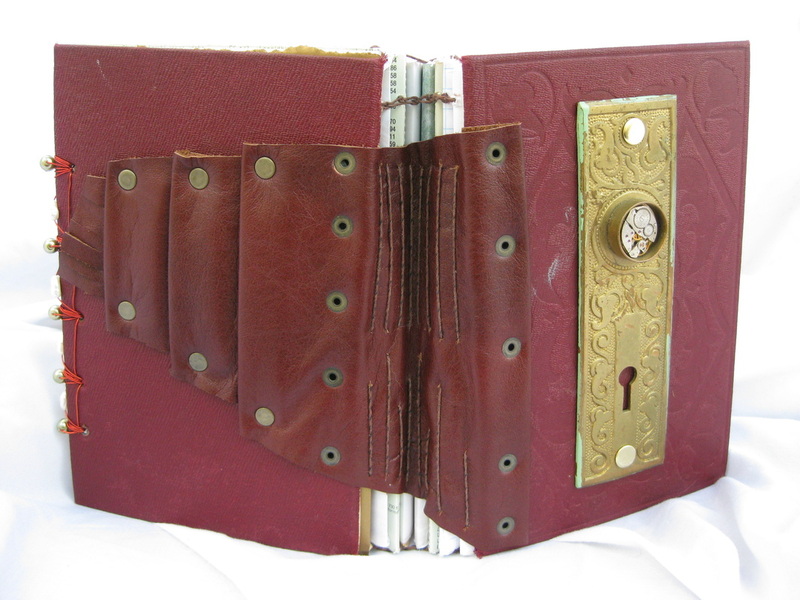 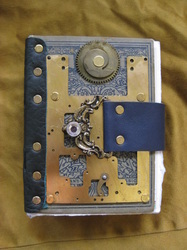 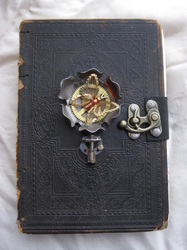 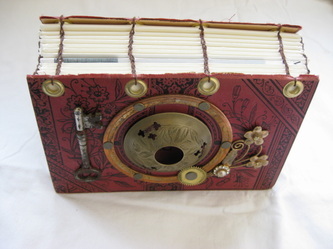 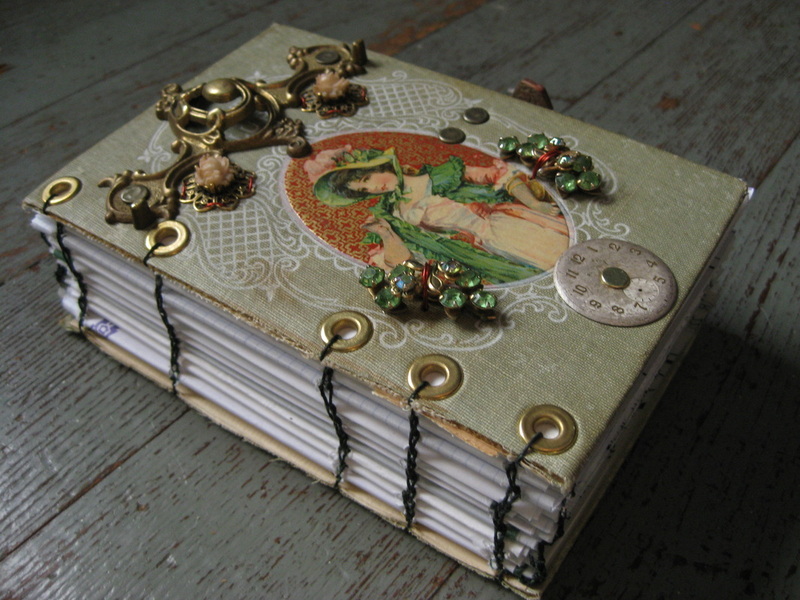 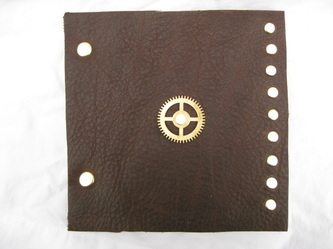 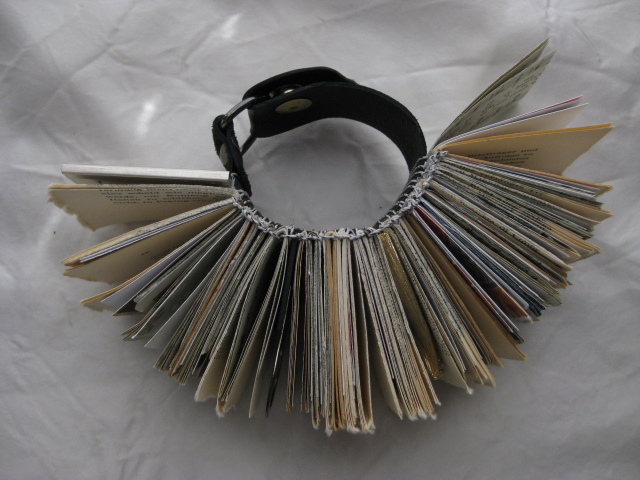 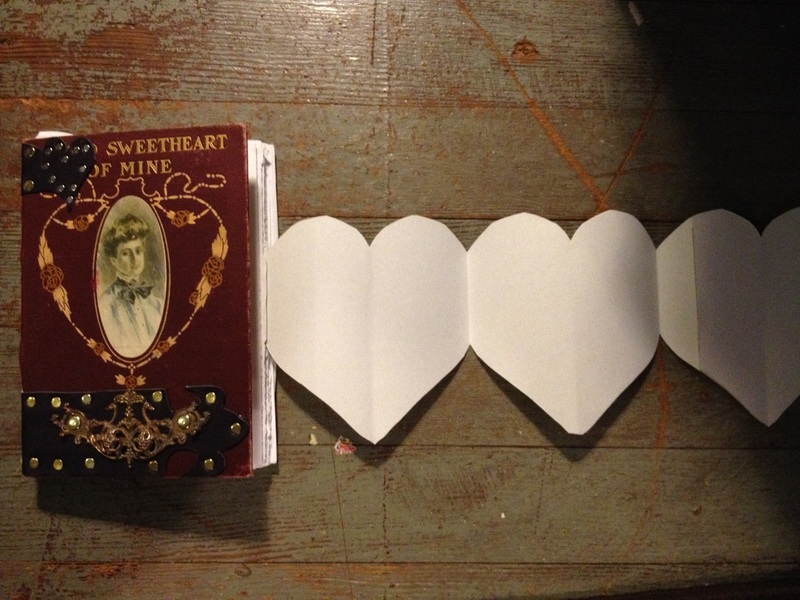 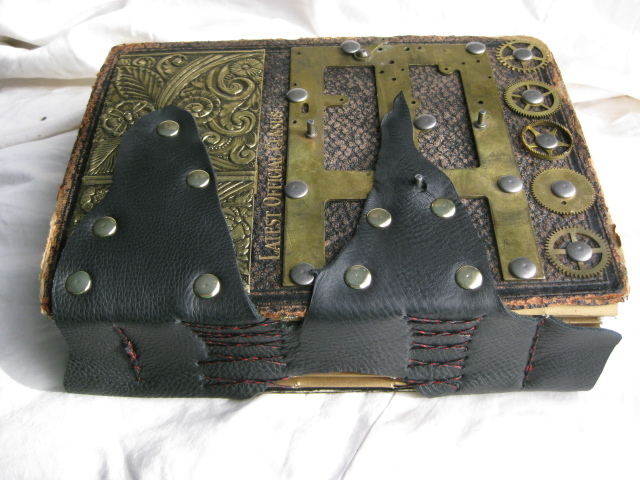 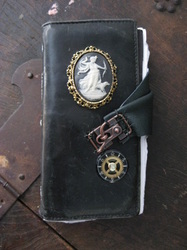 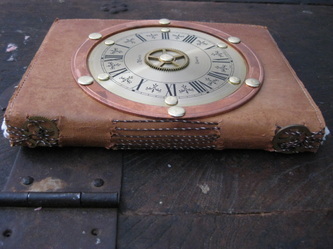 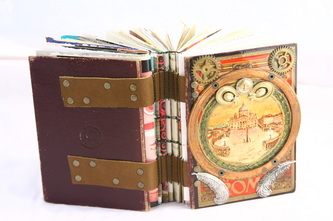 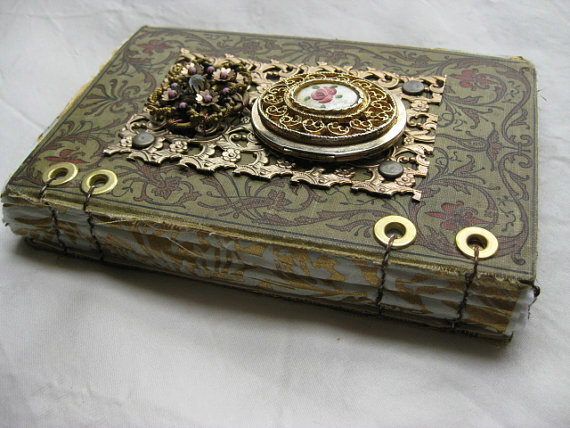 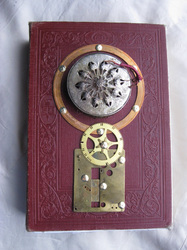 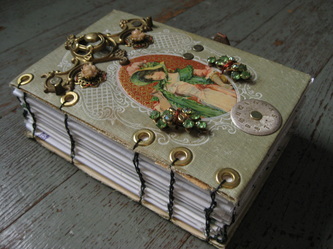 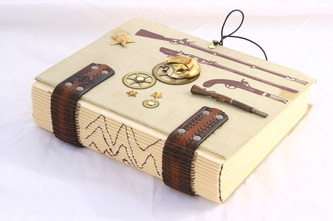 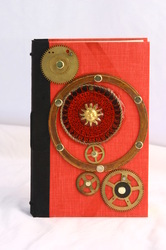 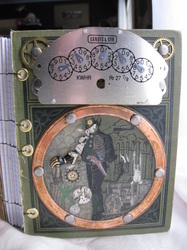 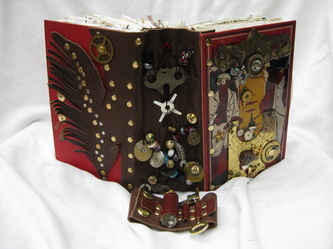 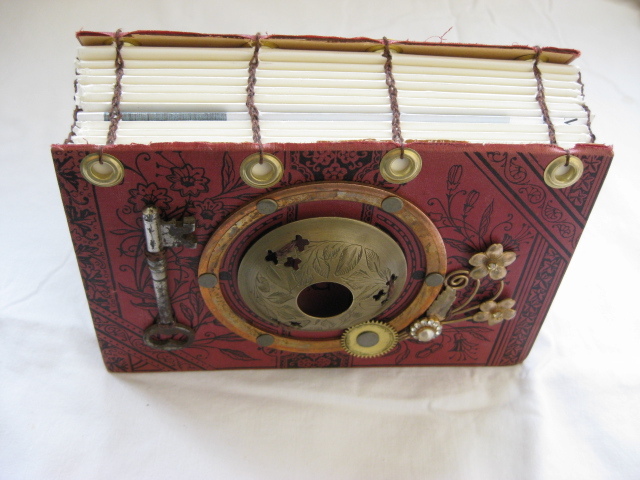 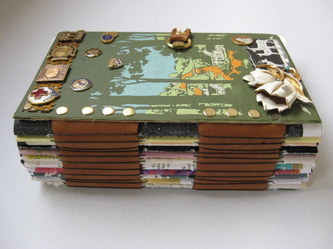 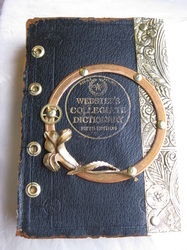 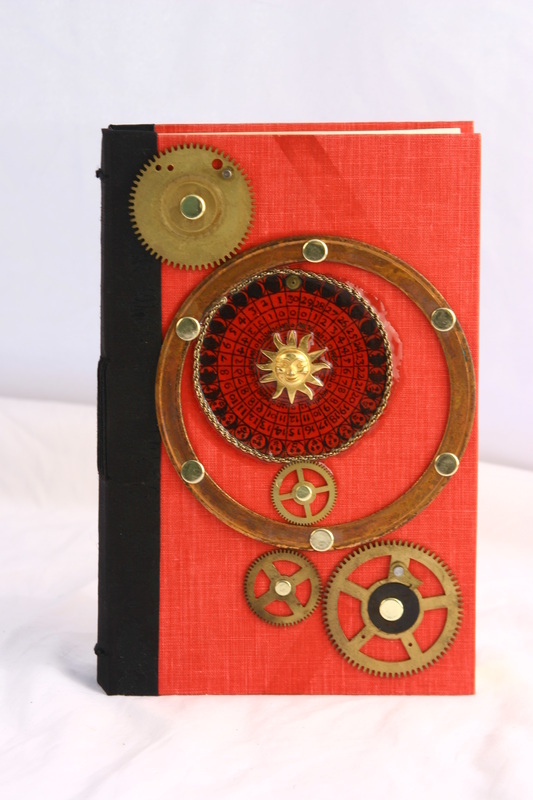 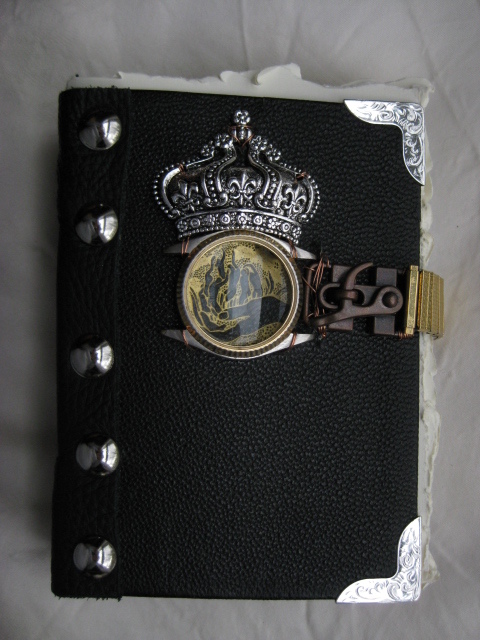 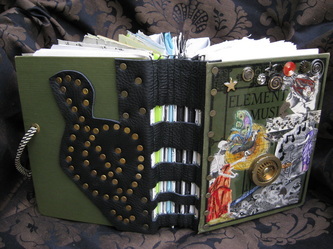 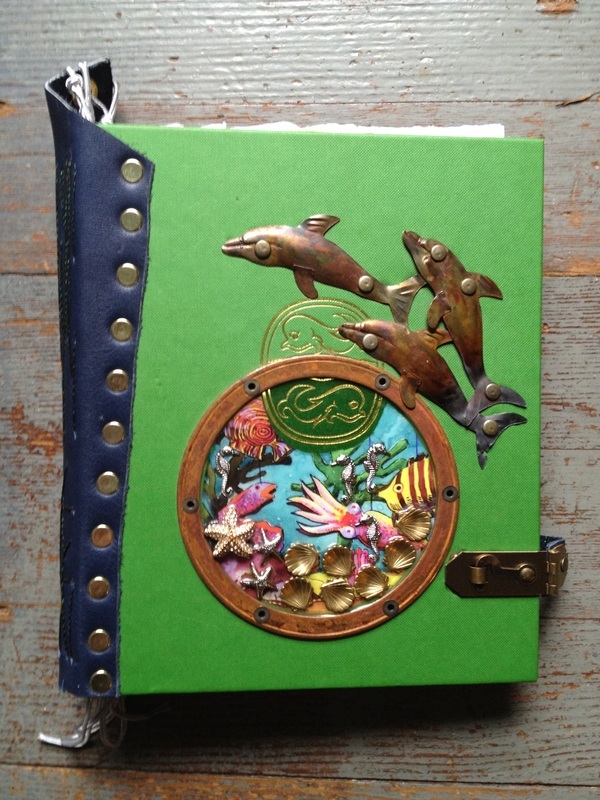 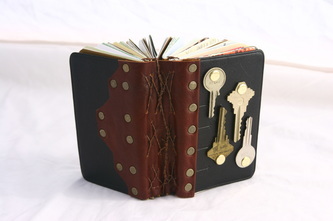 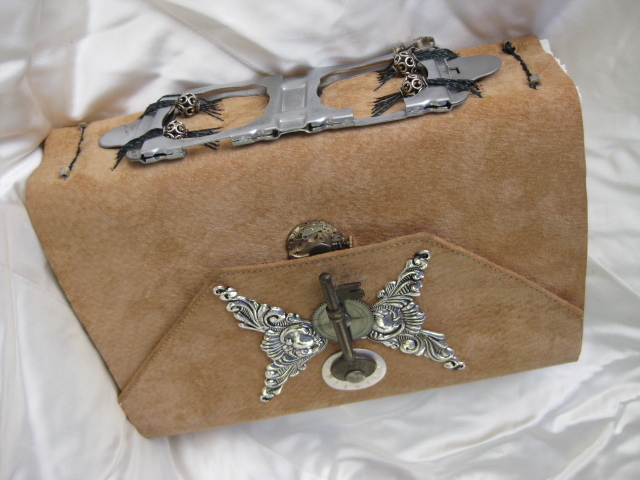 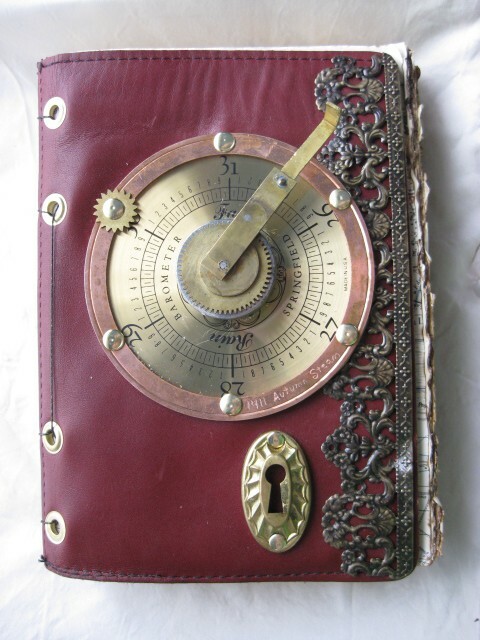 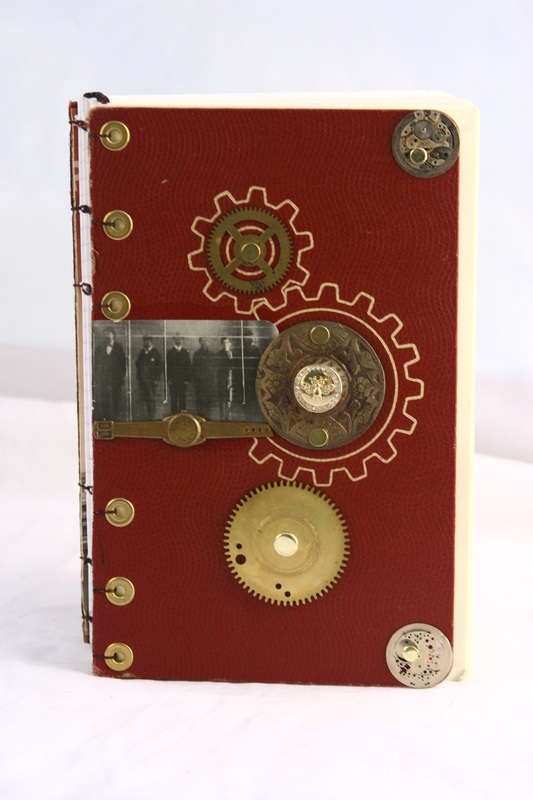 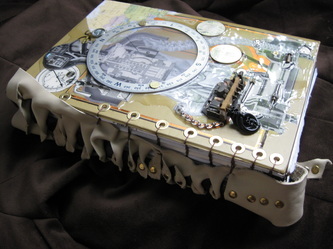 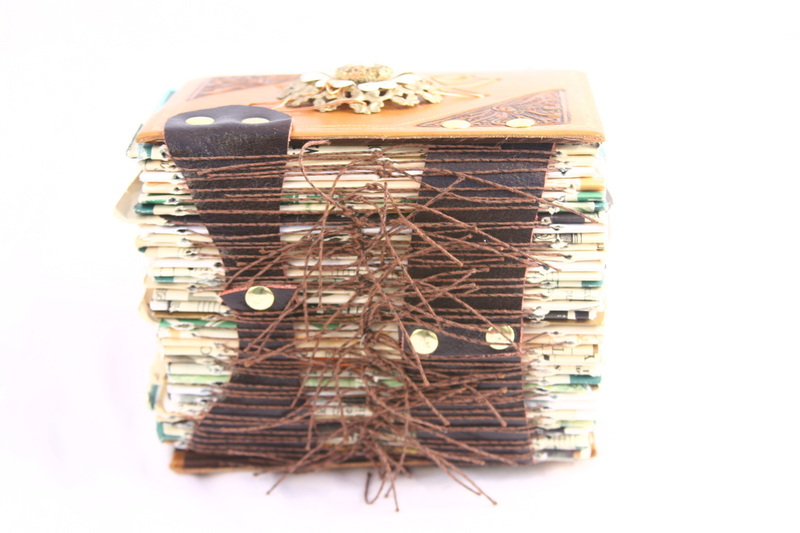 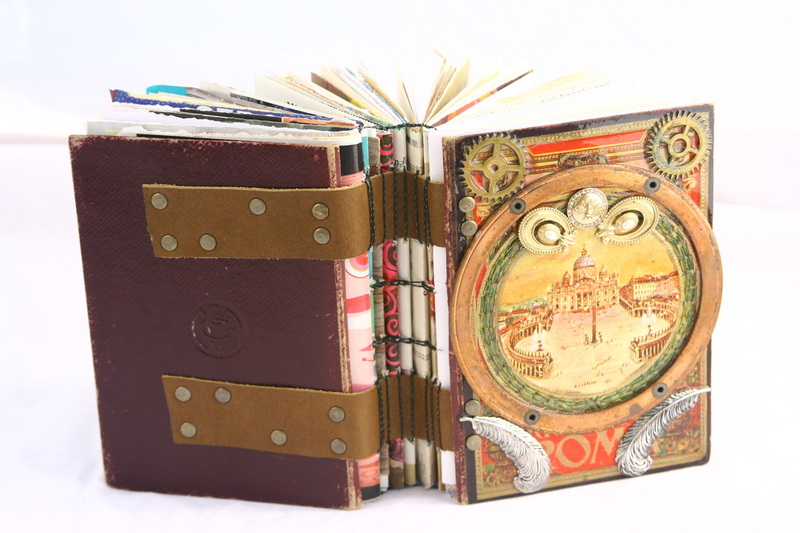 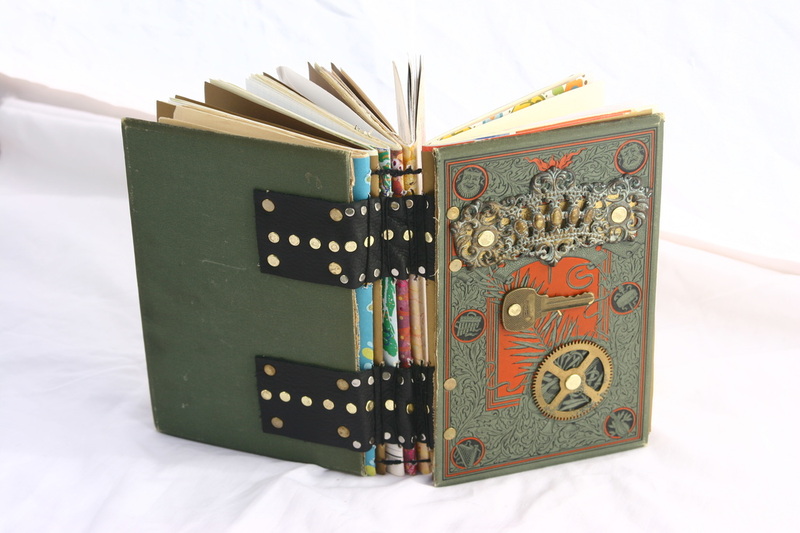 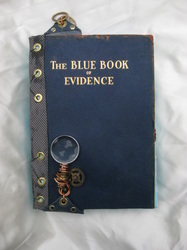 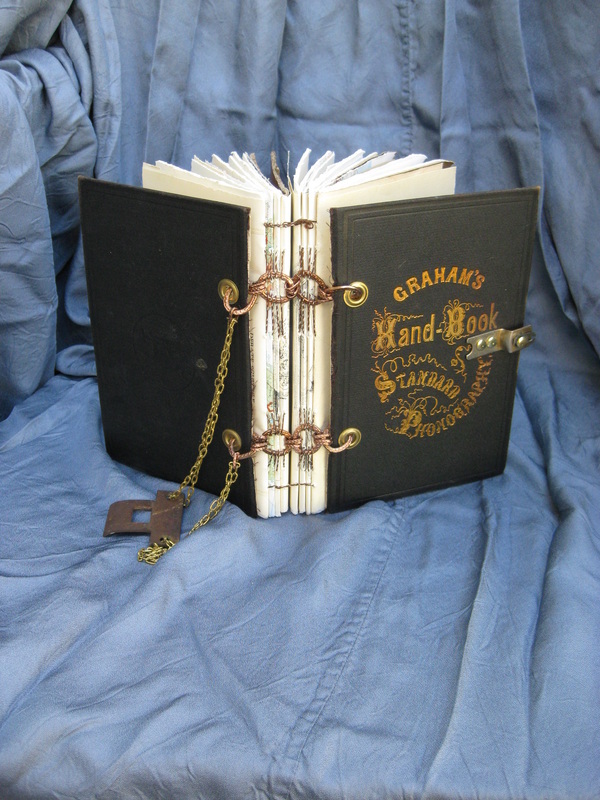 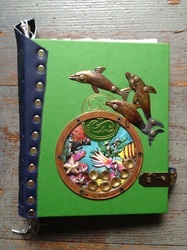 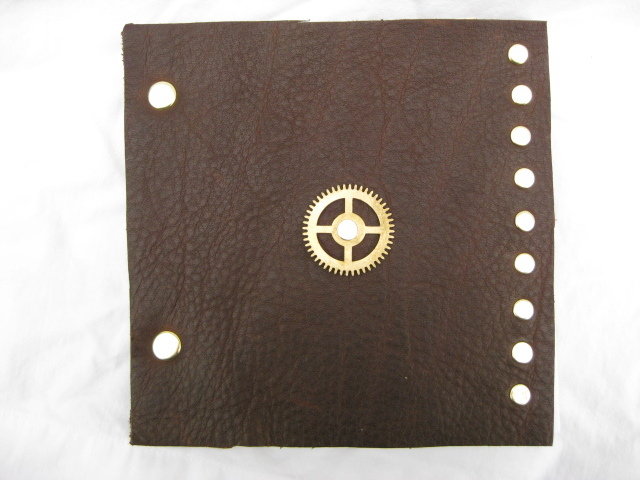 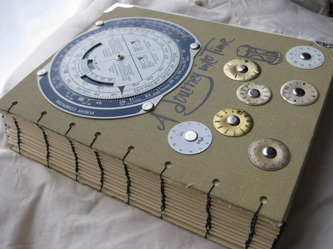 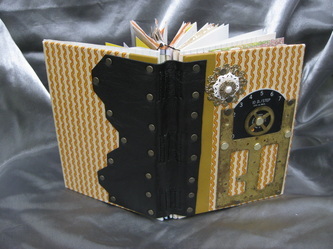 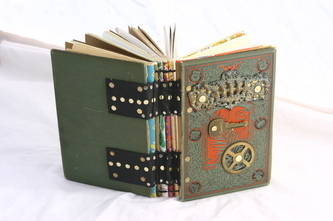 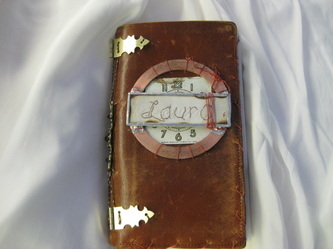 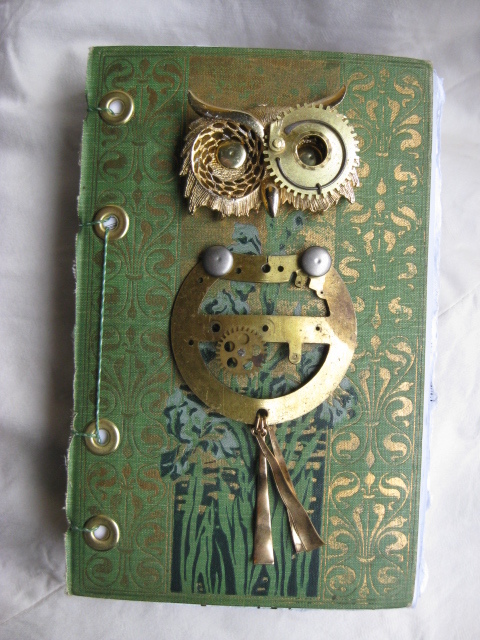 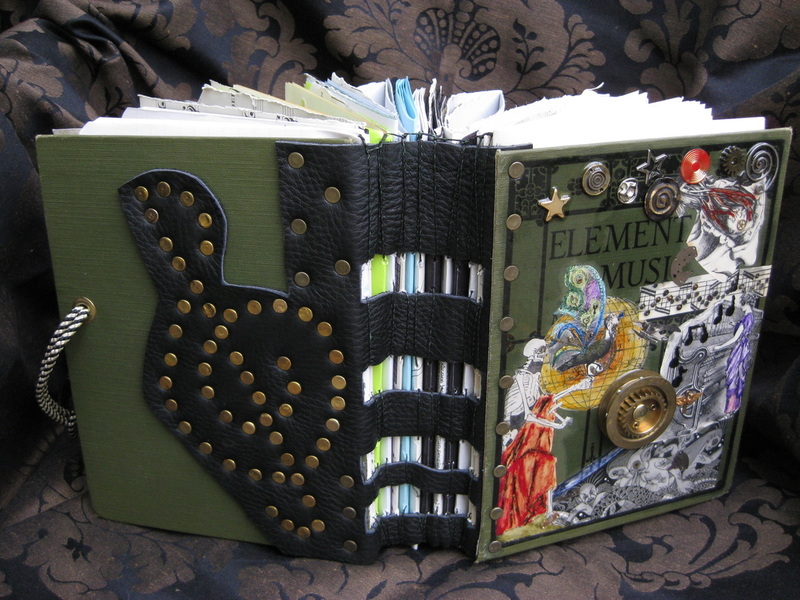 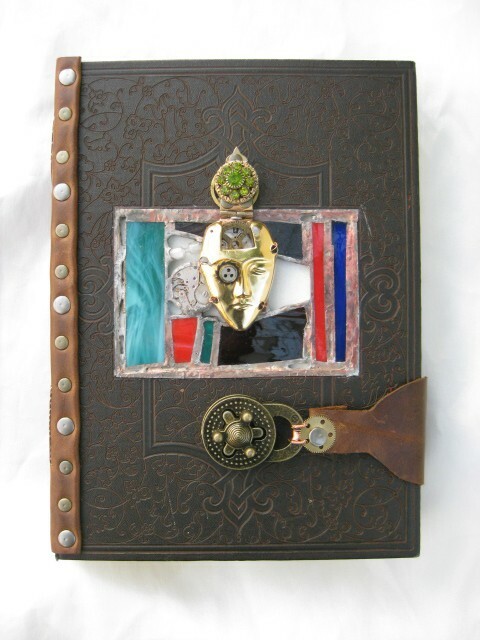 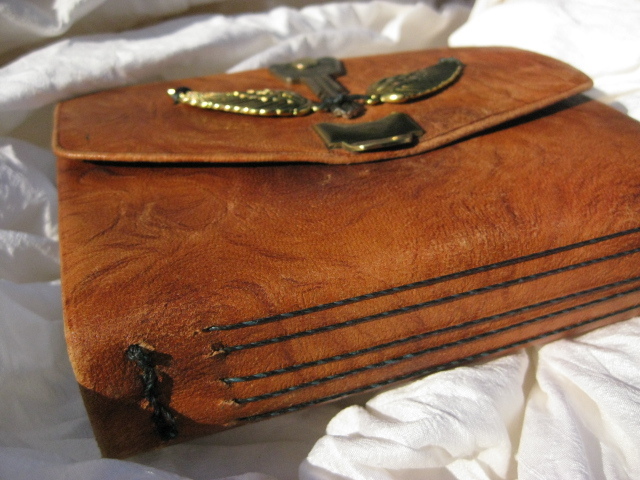 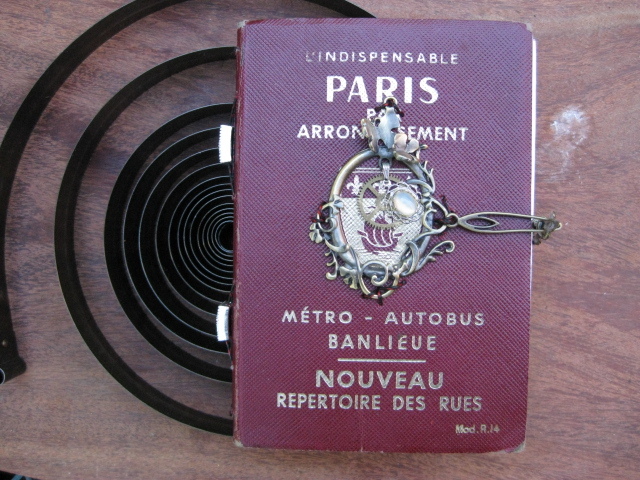 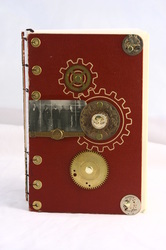 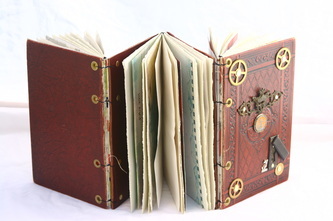 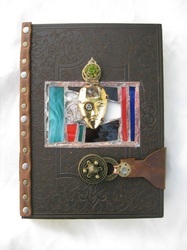 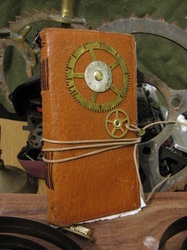 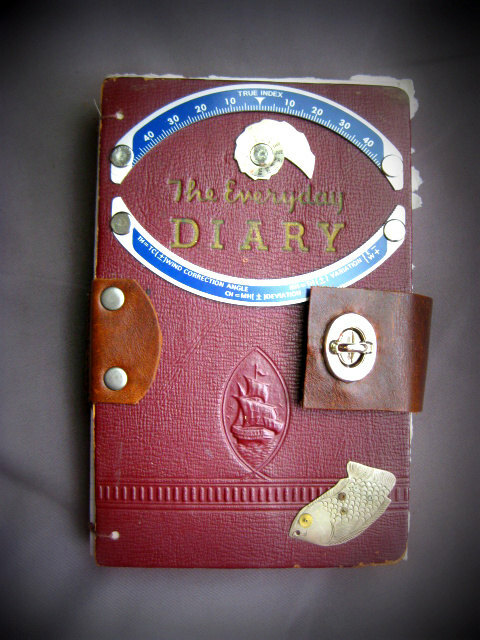 This is our beautiful Nautilus Journal that made its debut at Steamcon 3 in the gallery. 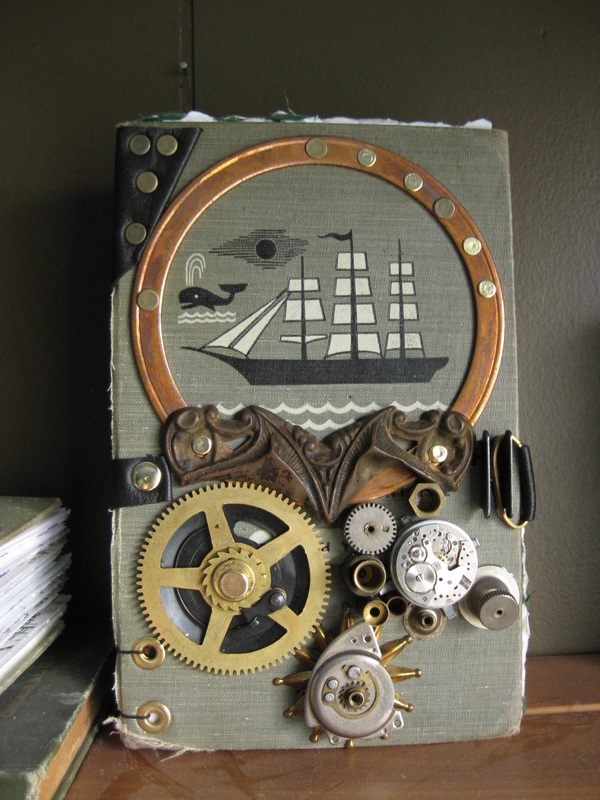 This work of art has so much going on. 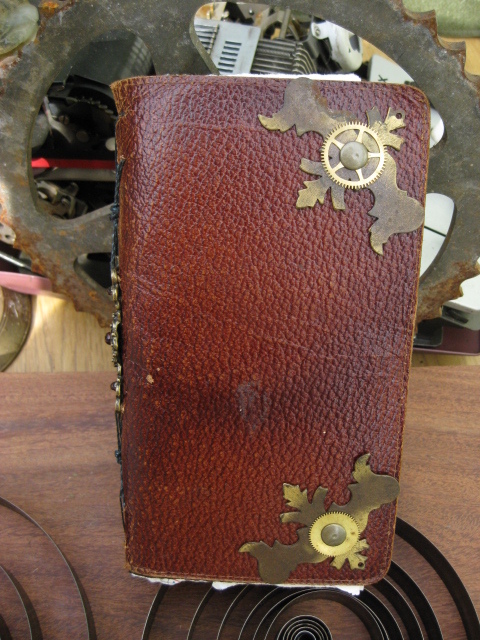 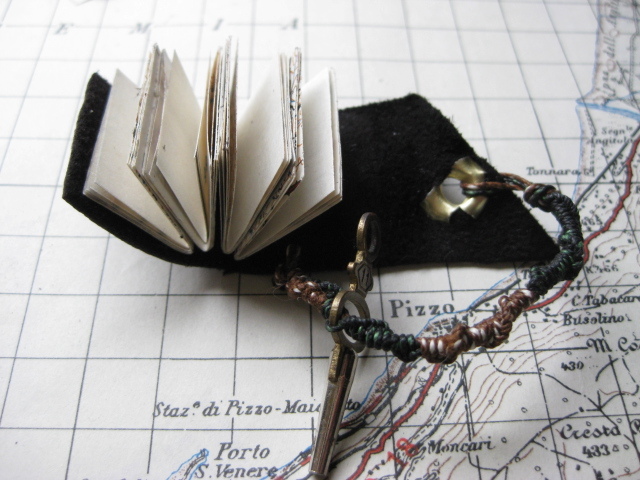 We completely wired the journal so it lights up! There are white LED's under the brass dome at the top and colored flashing lights under the meter. 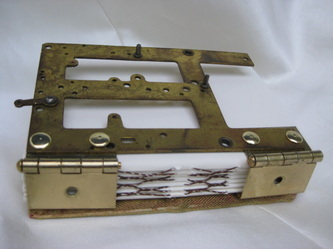 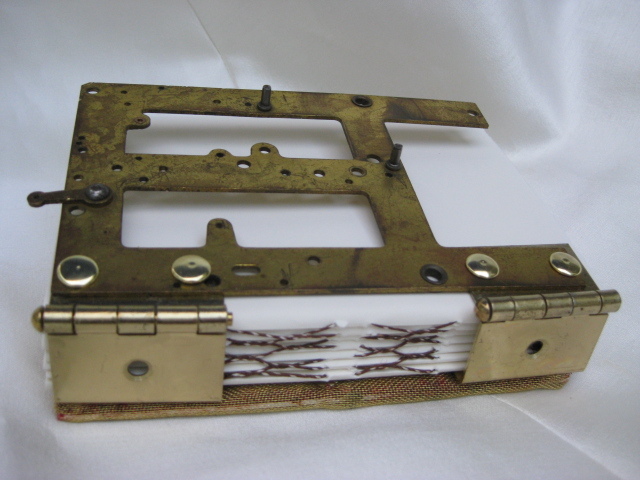 This would be a great mantel piece for the holiday season or any night. 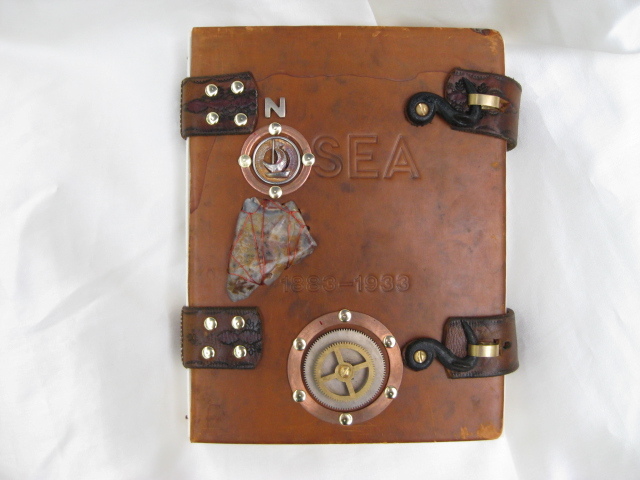 The cover came from an old copy of 20000 Leagues Under The Sea, so it has an illustration of the Nautilus on the inside covers.